Purvanchal Bank invites applications from Indian citizens, for the post of Officer Scale I and Office Assistant (Multipurpose), who have appeared at the Online CWE III for RRBs conducted by IBPS during September/ October 2014 and declared qualified. Bond Amount: (1) Officer Scale-I : The selected candidates for the post of Officer Scale-I will be required, at the time of their joining, to execute an “Indemnity Bond With Surety”, undertaking to serve the Bank for a minimum period of THREE years, otherwise to pay a sum of Rs.1,00,000/= (Rs. one lac) only as compensation to the Bank. 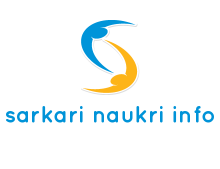 (2) Office Assistant (Multipurpose): The selected candidates for the post of Office Assistant (Multipurpose) will be required, at the time of their joining, to execute an ““Indemnity Bond With Surety””, undertaking to serve the Bank for a minimum period of TWO years, otherwise to pay a sum of Rs.50,000/= (Rs. Fifty thousand ) only as compensation to the Bank. Personal Interview: Depending on the number of vacancies, Bank will call from among who have applied to bank, the number, equivalent to three times the number of vacancies shortlisted based on their Total Weighted Scores (TWS). Remaining applicants, if any, will not receive an interview call from the Bank. The total marks for Interview will be 30. Interview Centre: The Interview will be held at the Gorakhpurcentre and the complete address of the venue will be advised in the call letters. The address of the venues will also be displayed in the Bank’s website one week before the dates for commencement of Interviews.